Promotional Ad for "Walkin' the Way." MIAMI - Aug. 4, 2018 - PRLog -- A father-son production team are currently working on two separate film projects. On the heels of his award-winning film, "The Centenarian," young filmmaker, Peter Alexander, is once again directing from his own script. 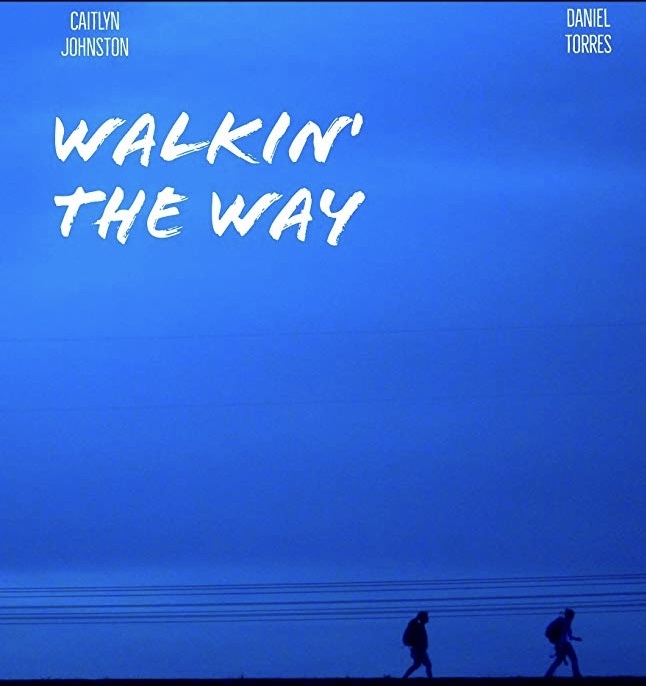 The short film, "Walkin' the Way," is a coming-of-age drama about two young people who meet up on long walk across the Florida peninsula. The film stars Caitlyn Johnston as Michelle and Daniel Torres as Andrew. Alexander's father, Tom, appears as Andrew's father, and will score "Walkin' the Way," as he's done on all his son's films. The film is set to be completed this fall and release before the end of the year. "This might have been the most challenging shoot we've had so far," Peter Alexander says. "The weather and locations presented some very serious obstacles, but we powered through it. I think the cast and crew pushed themselves in ways that even they didn't think they could. The results so far have been wonderful. Editing is coming along nicely." The second project is a horror film script the two co-wrote called, "Zathina," the story of a witch possessed by an ancient demon who preys on a family staying at their summer home. "Zathina" is currently being pitched to several studios, and has already drawn interest from two. "I think we're sitting on a pretty exciting script with Zathina," Tom Alexander says. "Peter and I have a nice working rhythm. He's very visual and conceptual. The story is largely his. I spent a lot of time in radio, so I have bit of an ear for dialogue. The collaborative spirit plays to our individual strengths. We hope to have a deal in place before year's end. The plan is once again for Peter to direct and for me to score." Peter Alexander's last film, "The Centenarian," has won four awards so far, Best Picture and Best Director at the Hollywood Florida Film Festival, and Best Sci-Fi film at the Global Film Festival. Tom Alexander earned a Best Musical Score nod for the film at the Cosmic Film Festival. It is still competing for additional awards. Tom and Peter continue a legacy in movies that began when Tom's grandfather, Thomas Alexander (Alexopoulos) emigrated from Mykines, Greece in 1898. "The movie business sort of happened by accident for my grandfather," Tom adds, "He was a chocolatier who saw an ad for a movie projector in the back of a magazine. One thing led to another and suddenly he found himself in the nickelodeon business." As the business grew, the pioneer film exhibitor built neighborhood theatres and ultimately, movie palaces. He even wound up funding one-reel silent comedies for Paramount for a time. Tom Alexander's father and uncles continued the movie theatre tradition for decades. He worked and grew up in the theatres too, but in 1988 when the last theatre closed, he pursued the production end of the film industry, as well as radio and music. Peter is the fourth generation connected to the family's film industry legacy which began not long after the turn of the 20thCentury. Peter Alexander Releases Trailer for Upcoming Film, "Walkin' the Way"